Mark Millar has been teasing his fans for months now on info for his next wave of books. None more so than the two books from Sean Murphy and an unknown party, and it is not until now that the latter has at least been announced. In Spring 2015, the time frame of this new launch of Millarworld titles, writer Mark Millar will be releasing a 10 issue Jupiter’s Legacy prequel. Legacy, as we can remember, being itself a proposed 10 issue series from Millar and Frank Quitely has yet to reach its fifth issue in the year and a half since its initial launch. The prequel will be a way to give Quitely adequate break time with which to finish. 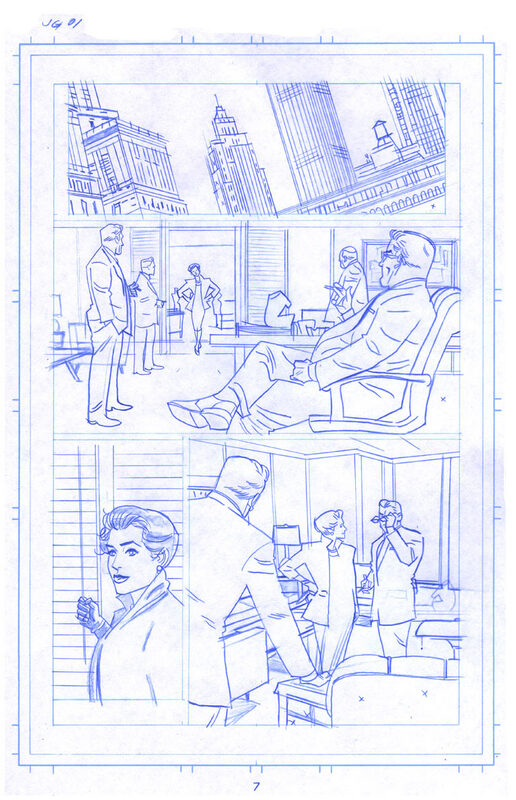 The series, untitled for now (although the first word will be Justice), will center on the super team that preceded the fall out of Jupiter’s Legacy, showcasing their exploits in 1958. The interiors (seen above) will be done by Wilfredo Torres (Lobster Johnson) with covers by Quitely himself. One hopes that this series will avoid the mistakes of its forbearer in terms of release schedule. Thoughts and comments would be appreciated below.